Russian World Forums • View topic - For Trump USA President politics is solely-business. Post subject: For Trump USA President politics is solely-business. Four hundred billion dollars ransom paid the king of Saudi Arabia to Donald Trump for the protection of his country and also to forget, the new American president, the bizarre dealings of Riyadh with ISIS. 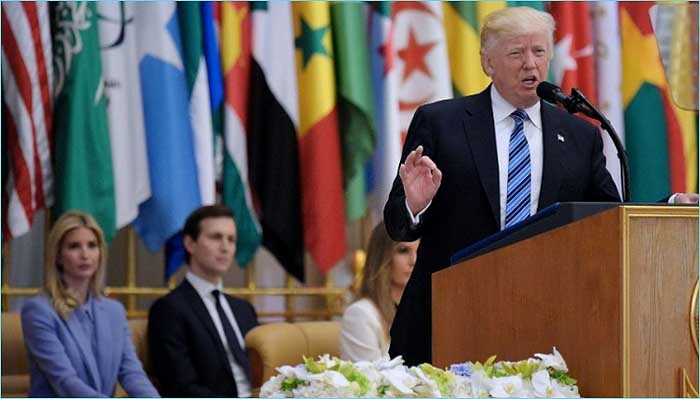 Anybody who attended or watched on TV the Trump speech, during his recent visit to Saudi Arabia, couldn’t believe his sudden change on his previous statements. ONLY Americans who are born marketers immediately understood the new approach of Trump on the issue of terrorism. His radical change was not due to a sudden ideological differentiation, but only the consideration of the offered benefits in return. Two hundred billion dollars will cost to Saudi Arabia, only the purchases of armament programs from the Large American Corporations, while the whole agreements are touching the very large sum of four hundred billion dollars. 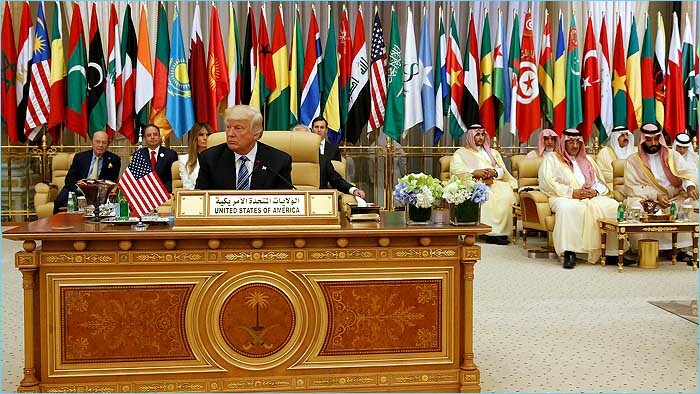 These grand deals made Donald Trump to forget his fiery speeches, during the elections, which he was making, for the hidden and overt financiers of the Jihadists. His was threatening to block the bank accounts of those involved in the financing of the ISIS. To justify his conversion and bows to the King of Saudi Arabia he began to sing a new tale. This time he included IRAN which he said is a threat to world peace. The Jihadists have passed now into the background and references to the terrorist Islam was purely ostensible and rounded, so as not to expose the large customer of US multinational, called Saudi Arabia. The Americans are traders and therefore sell everything for a good price. Besides, the Jihadists were their own creation! This dangerous construct was created by the CIA. FIRST training grounds for the jihadists were Egypt, then Pakistan and sponsor of this terrorist organization were Saudi Arabia and other Arab states. ISIS has managed to survive, to fund operational needs and to cover the costs of fifty thousand mercenaries with funding received from Saudi Arabia, Qatar and other countries. THESE were the views supported by President Trump during the elections and he was promising to expose those who threaten world peace. So Saudi Arabia had to pay him ransom of four hundred billion Dollars to forget all. Moreover, ethics has no place in the political-business. This is shown by the Americans daily. SO for Trump politics is solely-business.